Home » BLOG » Do I Need SEO? It’s your beautiful, shiny new online marketing brochure and the hits/new customers/sales are going to come rolling in because it’s so irresistible, informational, and your product will sell like hot cakes! Aside from friends and family and the occasional direct hit from a customer typing in your domain name, no one is finding it. The answer is simple. Search Engine Optimization (SEO). SEO in short is being found on search engines (like Google, Yahoo, Bing etc) for specified keywords. Not to be confused with pay-per-click advertising, SEO is not charged by click. It’s an ongoing organic algorithm determined by Google that “ranks” web sites based on their relevance to certain keywords. The internet has 10’s of millions of web sites with billions of users. The former, your competition, the later your potential buyers. The problem: how will those billions of potential customers find “me” out of the 10’s of millions of other sites online? This is your answer. This is where SEO comes in. 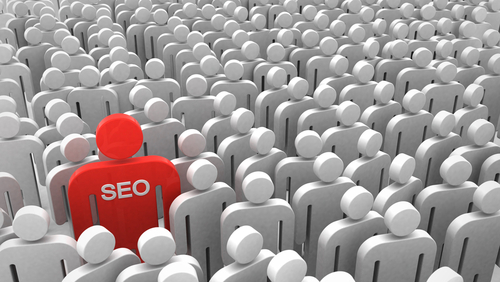 The truth is that SEO follows one of the most important aspects of marketing – EXPOSURE. If you are selling your product in a grocery store, where would you put it? Would you like it on a display when shoppers first walk in? Would you like it on the most convenient shelf? Or, would you like it in the back hidden behind the “employees only” sign? Where potential buyers have to ask for it directly. It seems silly to have your product in the back, where people who are looking for it (who may have never tried it) do not have the chance to find it. It’s a matter of convenience. Sometimes customers just grab the first thing they see and move on. This is the same concept with SEO. Your potential customer is typing in your keywords at this given moment and you don’t even have the chance to tell them about yourself because you are in the back, behind closed doors hoping for someone to type your domain in directly. SEO will fix this. SEO is different than TV, Radio, or Newspaper because you are marketing to customers who are actively seeking you out. These customers are considered “hot leads” because they are already interested in your product or service. You don’t waste time on customers who don’t want to hear about what you offer. Customers from SEO are already pre-qualified because they have been researching your product and have decided to reach out to you. At Visual Realm we believe whole-heartedly in Search Engine Optimization. 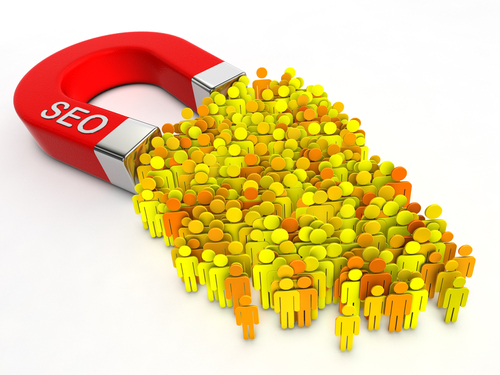 We have zero sales people and in the past 7 years of business we have not marketed in any other avenue other than SEO. We rely solely on Search Engine Optimization to bring us clients… and it does. Please contact us for a free SEO evaluation and to see how Internet Marketing can increase your traffic and ultimately, revenue today.